I am a former top player. I was trained at the Training Center (Espoir pro A) of CSP Limoges for 3 years and at DIXIE STATE College (USA), I became a professional basketball player at CB Gran Canaria (ACB Spain League) during the 2000-2001 season . Back in France, I wear the Etendard de Brest (Pro B) jersey, the ESSM Le Portel and the JSF Nanterre for two seasons. From 2006 to 2014, I'm playing as a N2 player. Je suis un ancien joueur de haut niveau. Formé au Centre de Formation (Espoir pro A) du CSP Limoges durant 3 années et au sein de l’université DIXIE STATE Collège (USA), je deviens basketteur professionnel au CB Gran Canaria (Ligue ACB Espagne ) lors de la saison 2000-2001. De retour en France je porte le maillot de l’Etendard de Brest (Pro B), de l'ESSM Le Portel, puis de la JSF Nanterre durant 2 saisons. De 2006 à 2014, j'évolue en tant que joueur en N2. Over the years I have built my expertise through high-level coaches who have been involved in my career as a player but also through federal training. 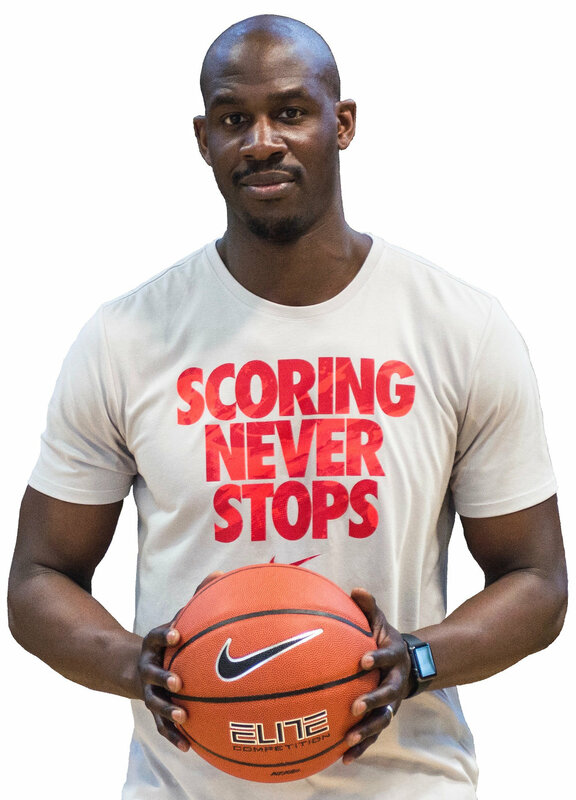 I am holder of the BEES 2nd degree BASKETBALL and the French Federal diploma of Physical Preparation obtained at the National Institute of Sport of Expertise and Performance (INSEP). Talent is never enough. With few exceptions, the best players are the hardest workers”.